Gemstones add color and sparkle and liveliness to jewelry, from a white gleam of a faceted diamond to the opaque black shine of a black onyx cabochon. 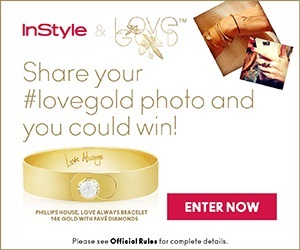 The right stone selected by the designer or jeweler can transform a piece of jewelry, while some pieces are completely designed around a given stone. 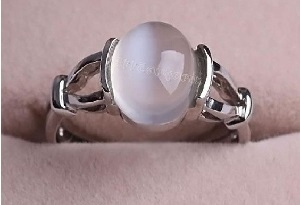 Moonstone, in its white form, looks just like its name, a small glimmering white moon. The effect of movement on moonstone is to induce changes in its gleams due to the play of light across its surface. Moonstone, a form of feldspar, is belived to induce a sort of dreaminess or imagination, and in India, it is called a “dream stone,” believed to bring about happy and lovely dreams. 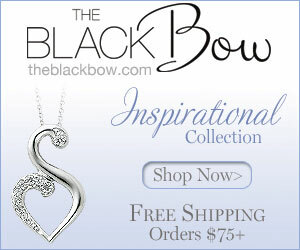 It is also said to enhance your intuition and sensitivity. The moonstones used by Ballew Jewelers in their handmade sterling silver jewelry come in colors of white, peach and gray. Other colors are available, such as green, blue, champagne and “rainbow.” Wear them and move them around, and you’ll be rewarded with the lovely changes of hue and light in the depth of the gemstone. Amber is not a stone; though called a gemstone, it is actually fossilized pine tree sap. That doesn’t sound particularly lovely, but in amber it results in beauty. Amber has such a unique golden brown, orangish color that the word amber itself is now considered the name for the color as well as the gemstone. While many other stones are considered more valuable when they have less inclusions, amber is coveted for its inclusions, especially insects. 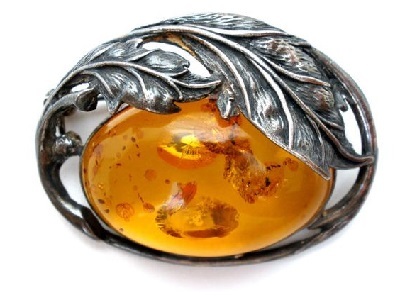 Many ancient myths and explanations of amber exist regarding the origins of amber, much of which are connected with the sun, an understandable comparison since amber’s deep yellow-brown-orange color certainly glows, as it does in the Sun Pin with Amber, shown at left. 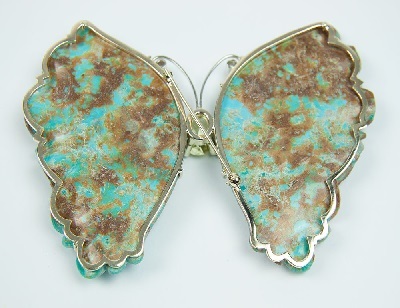 Turquoise could be considered the mainstay of much handmade sterling silver jewelry. The colors of turquoise vary from a lovely, pure sky-blue, called Sleeping Beauty turquoise, to more greenish hues. The Abstract Butterfly Pendant at right is set with Sleeping Beauty turquoise. The colors are available as solid, opaque colors, or as background to tiny gray or black web-like patterns; these latter are known as “spider-web” turquoise. Irregularities in the webbing pattern or an increase in the green hue of the gemstone will decrease its value. Turquoise has been shown to change color because of chemical reactions in the stone to such influences as light, cosmetics, dust or even the ph-value of the skin, and should be protected from cosmetics, heat, and prolonged daylight. Ancient tradition associates turquoise, as a good-luck charm, with material wealth, warding off evil powers and accidents, helping to heal a depressed mind and faithfulness in relationships. Most turquoise has been waxed and hardened due to the softness and sensitivity of the natural gemstone. 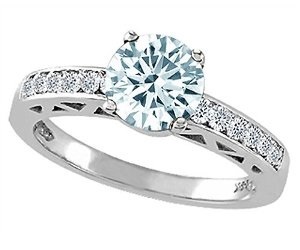 This treatment preserves the beauty of the gemstone and ensures it a longer life. As with amber, the very name of turquoise has come to be the name of its unique color. Rhodochrosite is a stone that is not as well known as some of the others we have covered here, but it is a very attractive stone. It is generally seen in a pretty rose-red color with white, yellowish or sometimes even gray streaks. In fact, its name means rose colored. Other shades can occur, from a darker pink color to a pale brown. It is a very soft stone, and is therefore somewhat delicate and can chip fairly easily. 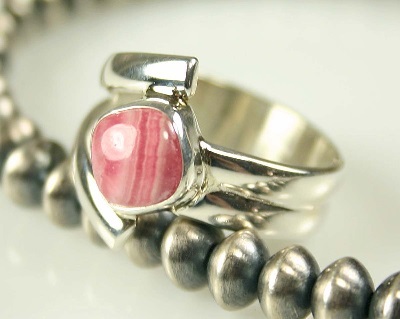 However, it is a lovely and unique stone with a pinkish reddish color all its own. This is by no means a comprehensive study of gemstones, but a fairly simple presentation of the attributes of some of the stones used in the handmade sterling silver jewelry. It is hoped that it may help to inform you and answer questions you may have. If you have any further questions, please contact us directly. For a detailed discussion of all of these gemstones and many more, visit the website of the International Colored Gemstone Association. 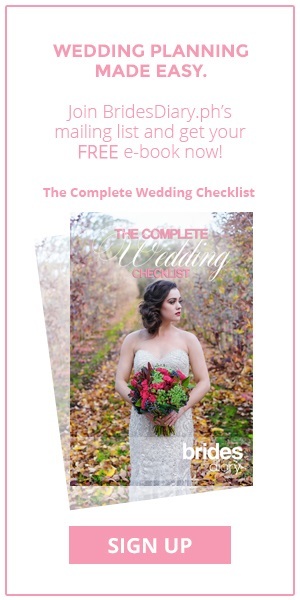 They have an extremely informative site, and some lovely photos of the gems!